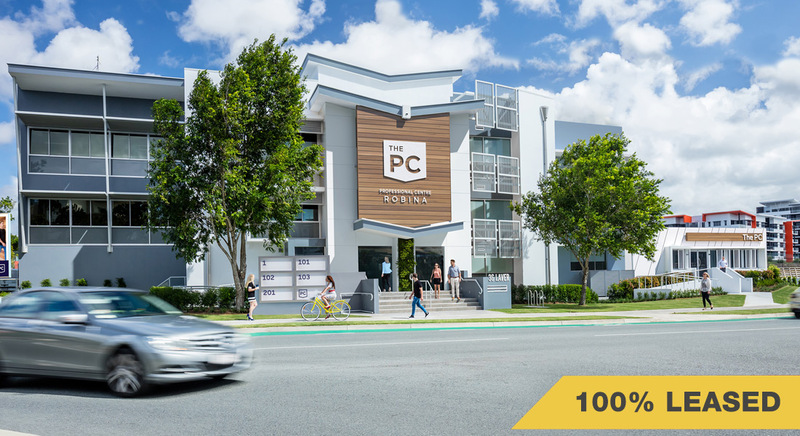 Robina’s future-smart, premium business address at the heart of Gold Coast City is now 100% leased and available for sale by offers to purchase, closing on 17 April 2019. 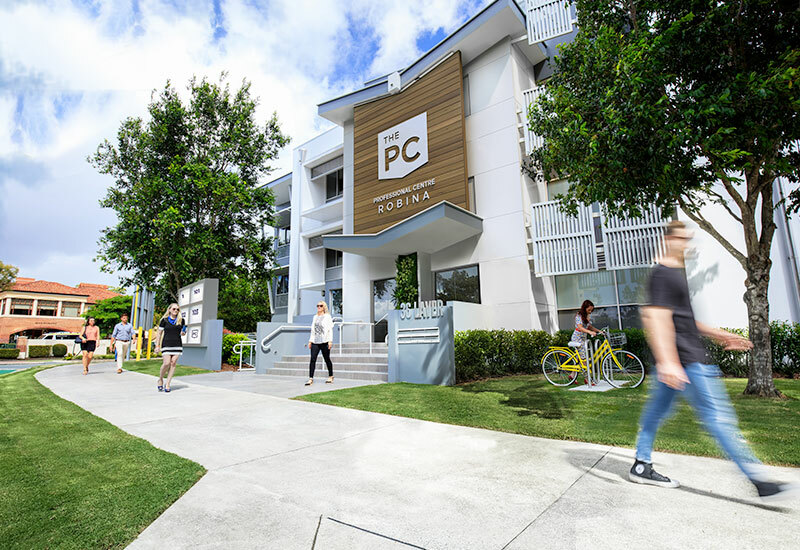 The PC is a premium, fully-leased office building secured by business incubator Gold Coast Innovation Hub and travel giant Helloworld on long term leases, generating a net income of $863,830 pa. The PC provides 2,112sqm (NLA) of premium quality air-conditioned office accommodation with high-speed internet connectivity, modern foyers and washrooms on each floor and end of trip facilities including bike racks and shower. 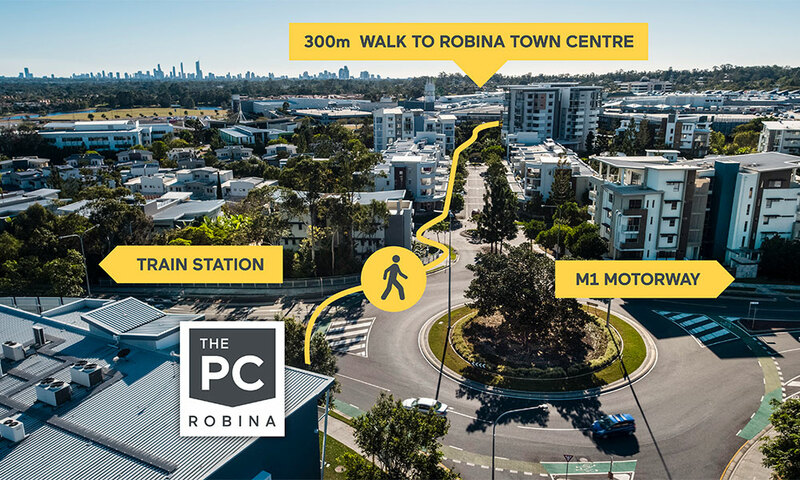 Located next to Robina Town Centre, The PC is at the heart of a walkable CBD, with high calibre business neighbours, a multitude of services, amenities and transport options. 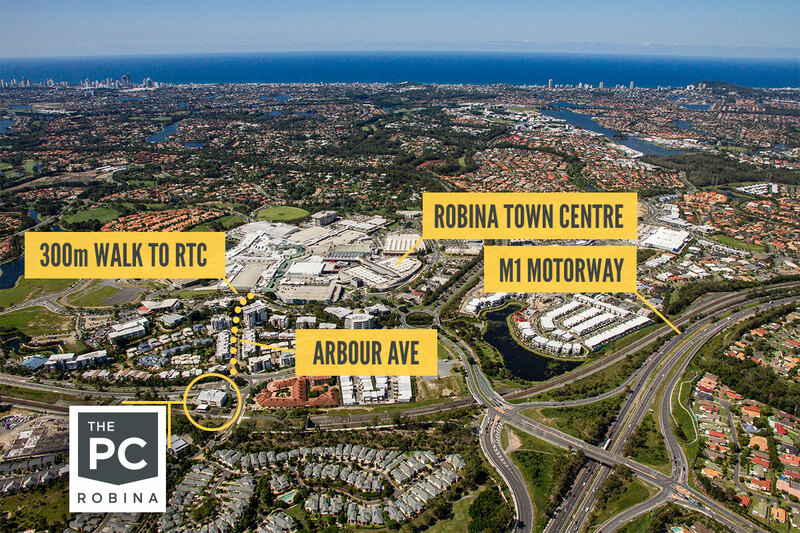 Robina Group has completely modernised this corporate offering, reflecting an ongoing commitment to evolve and innovate, in synergy with Robina’s masterplan fulfilment and the changing needs of Gold Coast business. The PC Robina delivers an exceptional standard of accommodation underpinned by amenity and connectivity. A commercial property which responds to the needs of a contemporary workforce, delivering a flexible and future-smart workplace offering. This is a unique opportunity to purchase a corporate investment approved for office, medical and education in a sought-after and vibrant CBD. CBDRobina, at the geographic centre of the city, has become Gold Coast City’s place to be for business, with a diverse workforce and customer base. A thriving location where you can easily mix with a network of local, regional and international blue-chip businesses and government departments in a destination designed for growth and access. CBDRobina is a vision realised. 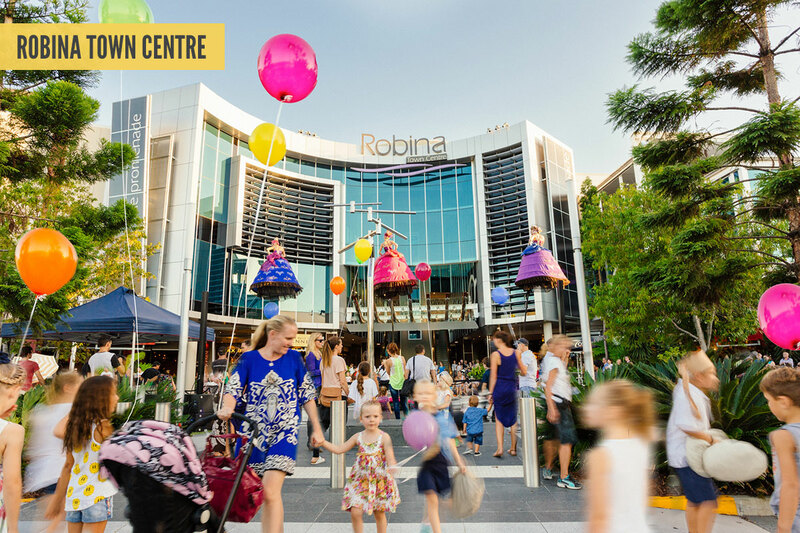 Built as a masterplanned benchmark CBD and government designated Principal Activity Centre, CBDRobina is unrivalled in Gold Coast City, drawing on a catchment almost half a million people within 30 minutes drive and over 2 million people within an hour’s drive. Major public infrastructure offers the region’s best access and connectivity creating a sought after business hub with an enviable low office vacancy rate. Designed to suit a range of professional uses with business-smart flexibility and a modern work style in mind. The reinvigorated, human-focused qualities of The PC Robina provide a platform for long-term success. 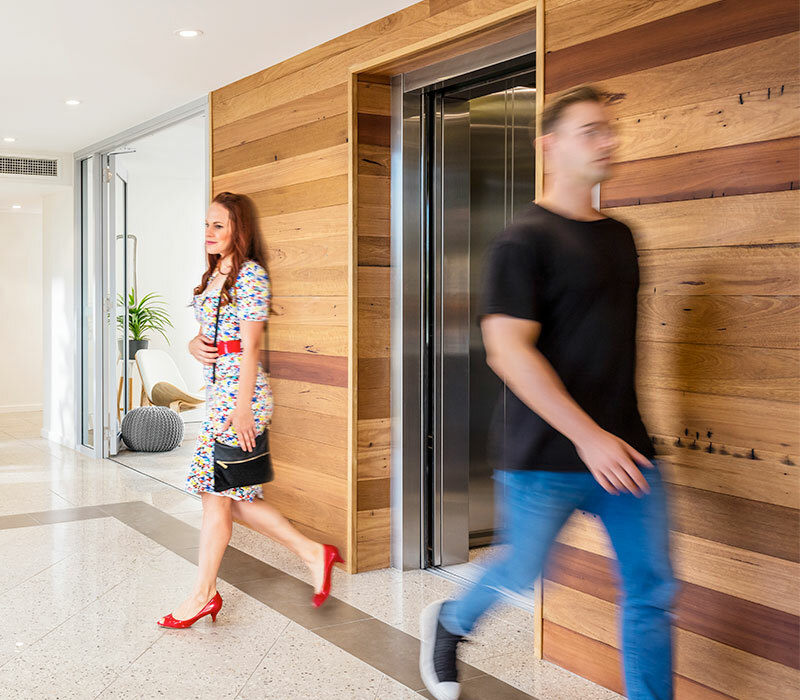 Amenity is foremost, and staff and visitors alike enjoy picturesque surroundings, recreational offerings and ease of access at this advanced urban workspace. The PC Robina is in good company with high-calibre neighbours. A premier location provides a multitude of services, amenities and transport options. Close by (1 km), the Pacific Motorway provides a direct link to Brisbane CBD (50 minutes) and Gold Coast Airport (15 minutes).